Naperville New GEN Rotary Club! The Naperville New Generations Rotary Club (New GEN) is a service club focused on joining young professionals from diverse backgrounds to exchange ideas and take action for both their communities and others around the world. Meetings are in the evening, after work, and with limited additional expenses. What is the New Gen Rotary Club? Based in the western suburbs, we offer opportunities to provide service to your community and internationally, while also having programs for mentorship with community leaders and personal career development. Being a part of Rotary puts you into a network of more than 1.2 million community leaders worldwide! We meet every 1st and 3rd Thursday of the month at 7:00 PM in Naperville, IL, with time for networking and socializing. (Check our Facebook page to join our Evite for updates on meeting location and speakers.) Most often we meet at Braconi's Restaurant & Pizzeria 796 Royal St George Dr #108, Naperville, IL 60563 but write newgen@napervillesunrise.org and we will get you on our eVite list and update you before each meeting. Please tell us about your interest by writing newgen@napervillesunrise.org. 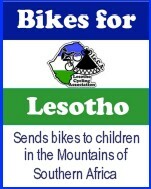 Also see us in action on our Facebook page at www.facebook.com/RotaryNewGEN. Our events will be posted here as well as on the Sunrise Rotary Google Calendar. If you are service minded and want to make professional connections and friends who will help you change the world, we welcome you! 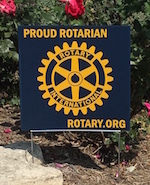 *A Note to Naperville Rotary Clubs about the New Generations Club! Sparked at at District training in 2011, We had spent a couple years researching solutions to the fact that Rotary does a better job of reaching out to kids 14 to 23 and 45 and up, but ignore the 20-39 age group. Ironically surveys have shown that at this stage of life we are perhaps even more excited about "Service Above Self" then the 50+ group. So if Rotary does not offer something for new generations then where will they go? Are these other options really the same as rotary? Can they offer the support that we can offer? Some concluded that that the 20-45 group needs a Rotary Club that they can control. In February 2015 Angela Corsa with help from Jim Ensign, Mandy Lewis, and District Governor Nicki Scott held the 1st meeting of what will become the Naperville Rotary New Generations Club. What is a New GEN Club? Service minded young adults in the current generation are very focused on doing significant things with their careers and volunteer time. They are our future and these people will truly change our world for the better. The things make them like all Rotary clubs, but there are thing that are unique about young professionals that mean they need their own club. A. Schedule. Young professionals have stricter work hours that prevent them from meeting at lunch, before work or before 6pm. They are service oriented so they may want to have 2 regular meetings a month and supplement with additional social or hands on service projects per month. B. Costs; budgeting the cost of meals into the membership raises costs and them to more expensive venues. By separating meeting and meals the costs can be limited to what covers RI costs. C. Social: Just like Sunrise, New Gens want to have fun. But they are also wanting to socialize with people going through the same stages of life. Peers their own age are transitioning into relationships and building young families. Networking with their own generation is more natural when they control the room. D: Speaker topics: Vocational Service is actually bigger with New gens than with the 40+ age groups. Networking for business and job leads should be la larger focus in new gen clubs than with older members. It is a cultural difference that the new generations need to be free to peruse at that stage of their life. E. Service Projects. New Generation Clubs can be in charge for perusing their own passions and have the energy for service hours over financial contributions. Actually partnering with New gen clubs is a perfect match for most established club’s existing projects.